If you feel convinced that a life of luxury is rightfully yours then perhaps this online slot from Pragmatic Play might help you along the way; it’s called Star Jackpots and not only does it come with four different progressive jackpots, the symbols are examples of the material items we could own if the luck is with us. 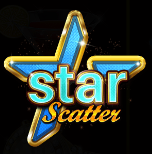 Star Jackpots is a five reel slot with three rows and fifty fixed paylines; stars twinkle and drift in against the dark blue backdrop while the reels spin within an expensive looking golden frame. There are five higher value symbols and these our hirsute main character, a bejewelled watch, a red cocktail, some cherries and a big, blue diamond; sparkling playing card symbols represent the lower values. The girl is wild, she appears stacked on all reels in the base game and she will replace all others symbols to form winning combinations except for the Star scatter icon. Free Spins – ten free spins with randomly added wilds or six free spins with wilds which lock in place until the round ends. High Award – a prize between 10x and 500x your total stake. Small Award – 1x your total bet. It’s not possible to trigger the bonus again from within the free spins. One of the jackpots shown above the reels (Rapid, Midi, Major or Mega) can be won randomly on any base game spin although you can increase your chances by using larger stakes. 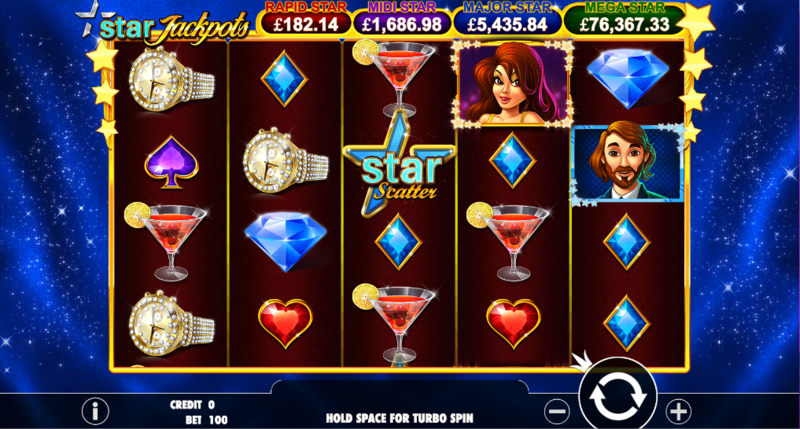 Star Jackpots is an enjoyable slot with some basic but cartoonish graphics and some nice sound effects; it’s not too hard to trigger the main feature but it’s frustrating if you then just nab the small award. It’s always nice to see a progressive jackpot and there’s an RTP of 96.09%.